Another great turnout for Session 3 on Tuesday 18 September. 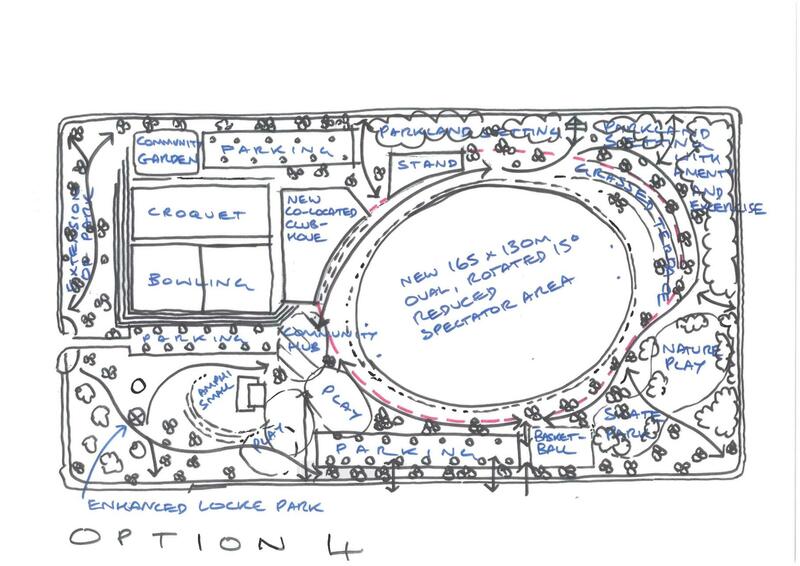 These options will be further refined, and you can drop in to the Bowling Club between 4pm and 7pm today (Wednesday 19 September) to see the outcome of the comments and feedback from last night. Option 1: In this concept the Bowling, Croquet and Football Clubs are retained at their current locations, the Council Depot remains as-is, but the security fence-line on Allen, Marmion and Moss Streets is moved closer to the Oval to liberate space at the perimeter for publically accessible parkland, and Locke Park is enhanced with additional amenity. 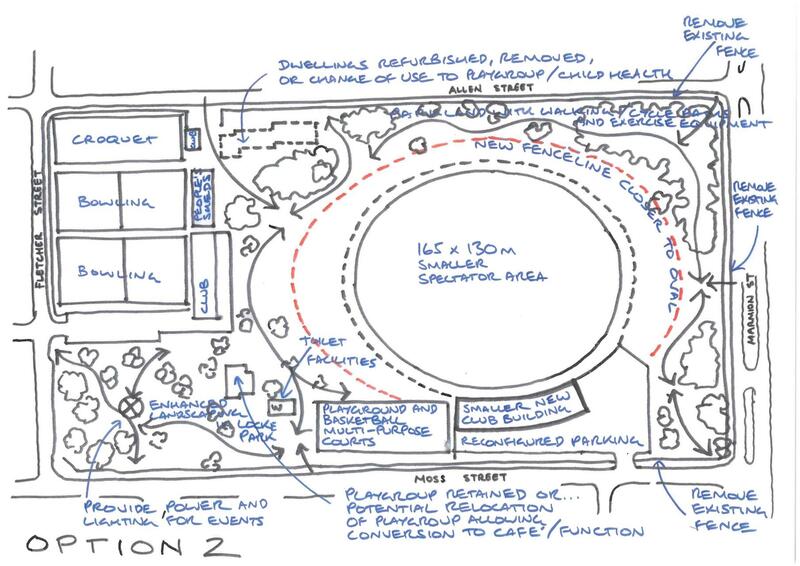 Option 2: Similar to Option 1 but with the WAFL and Council Depot facilities removed, the associated deletion of the security fence around the Oval provides more space for permanently accessible parkland. 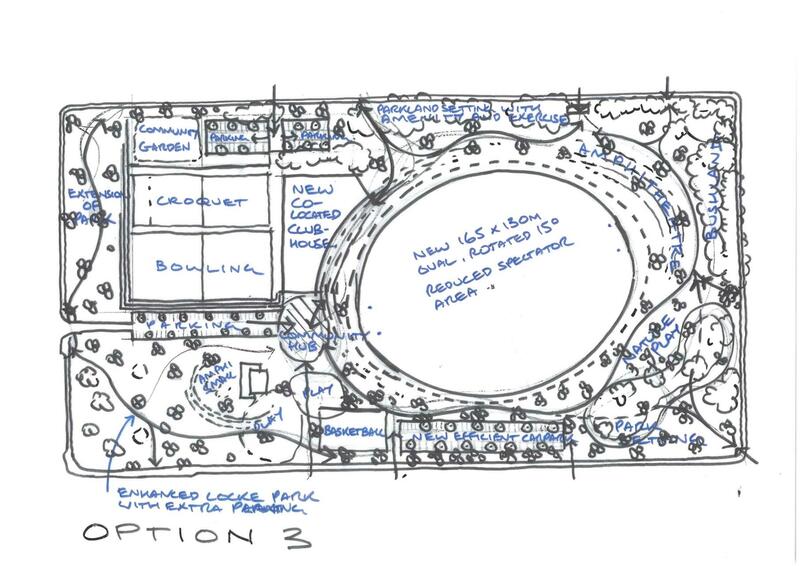 Option 3: This concept represents the co-location of all Club facilities – Football, Bowling, Croquet into a single building which can also provide leasable space for other potential sport and recreation-associated uses. The option unifies the precinct through a connecting path network in a parkland setting with opportunities for additional recreation. An enhanced Locke Park is better connected via a Community Hub located at the heart of the Precinct, close to all major facilities. Car parking locations and layouts are made more efficient and better distributed through the precinct. 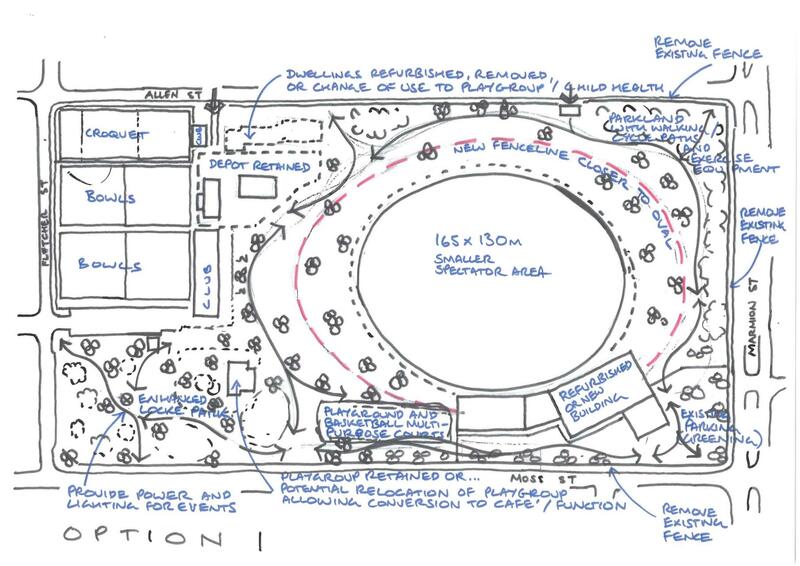 Option 4: Similar to Option 3, but with the assumption that the WAFL facilities, including an Oval security fence and spectator stand will be provided.